Coming into the kitchen and seeing this was quite hilarious- I busted up laughing. 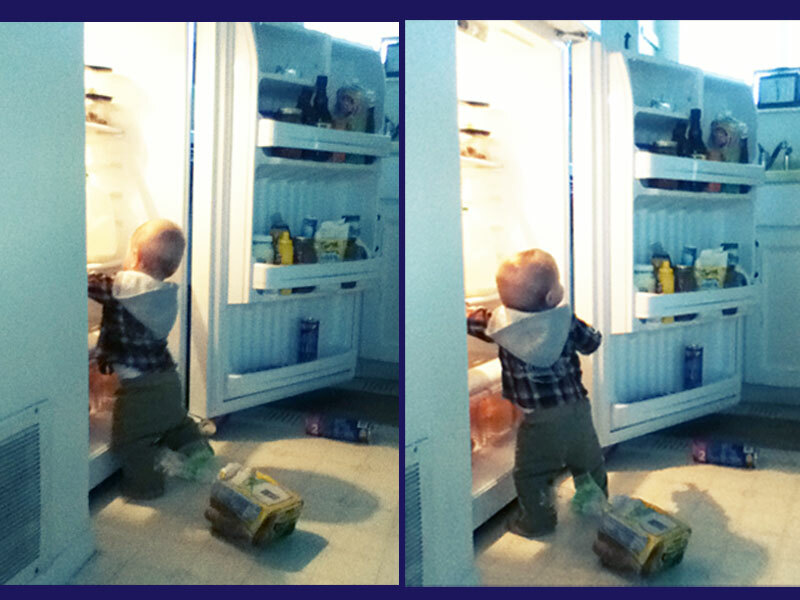 He looked like a little man back from a long hard day at work, getting his grub for the evening. So he has figured out where the food is and whenever I open the fridge he bolts towards it, and before I can shut it, he's in there grabbing and throwing his food on the ground. alright Daxton! Way to get a picture Shelby! 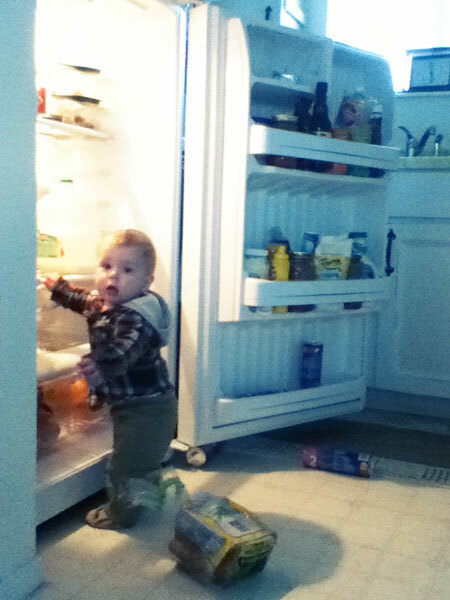 my daughter at his age,could open the fridge even with a fridge lock on it. glad you captured the moment. So cute! Sounds like him and Lydia are twinners, funny! he's turning into a man already... pretty soon he'll be fending for himself.